We were hoping Tuesday would be Connie's release day. I purposely came a little later, so if we had to go late, the dogs would be OK.
At around 3p, the nurse came in and said he had orders for the release which would be done shortly. "Shortly" was almost 3 hours later, but she was on her way home. Not much else happened, we were still waiting on test results and no one was talking. Wednesday, we started scheduling appointments, the first of which would be Monday to discuss results with Dr. Aponte. Our friends, Fred and Vickie, wanted to come down Thursday to celebrate Connie's birthday, so we were going to have company! Saturday was pretty much spent getting control of things. Steroids and anti seizure meds were IV'd in to stabilize things as much as they could. I got the girls around 8a from the Salty Dog, and headed out to the hospital around noon. We both met with Dr. Gleason who reaffirmed his strategy of the Cyber Knife and Connie met with Dr. Stewart who ran the beast. We definitely needed to work on the large mass first (which was on the cerebellum), then deal with the other spots second. The rest of the body issues (below the neck) were secondary at this point. Sunday was a waste of a day. Nobody in, no tests, just a day to sit around and watch network TV in standard def on a 19" TV. Ugh. We did get to watch the Buckeyes together beat Michigan State. But, the food was great (shaking my head "no"). Monday was a big test day. 3 tests she’s got to undergo today: Biopsy (to determine that it is breast cancer which actually would be good news, and not some other form of cancer which actually would be very bad news); mammogram (she was due to have this done last Friday, but once the brain stuff came out got put on back burner. This is more of a current baseline for them); and some sort of heart test to make sure her ticker can handle chemo. All the tests were finished, we just had to wait on the results to get her released as the Cyber Knife had to be done as an out patient procedure. Tuesday would be either release day or wait another day. We get that question a lot. Pretty easy answer: we deal with it. 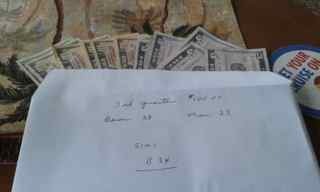 Our health insurance is provided through Bob's retirement through the State of Ohio. Hardest thing has been establishing a "regular" doctor. We get to a place in December, usually the first appointment (if they are accepting new patients at all) isn't available until late April or May. Right about when we're leaving. Vision, easy. Dental, easy. Vet for dogs, easy. General practice, not so much. Connie was having some pain in her clavicle and headaches. Went to the Portland Urgent Care Clinic. They kind of gave "take two aspirins and call us in the morning." OK. A week passed, the pain didn't so we went back. They took a chest X-ray. There were some spots on her lungs that the lab tech didn't like. They suggested seeing an oncologist (Connie is a breast cancer survivor). Again, the website our health insurance has shows all the doctors they're associated with because you're not getting in the door if they don't accept your health care provider. Oncologist suggested more tests, mammogram, MRI's, etc. Did that, lab techs didn't like what they saw again (but this time in her brain) and admitted her to the local hospital in Corpus Christi. First question: "Who's your regular doctor?" Plans are on hold, not only need to deal with the brain part but still the spots on the lungs. 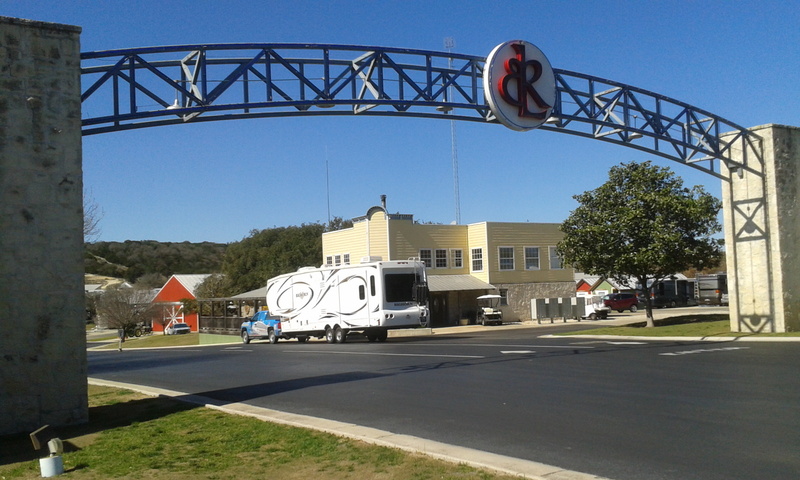 Where better than an RV located by the coast to rest and recuperate? Today, Connie was scheduled to be in Corpus Christi at 8:30a for a brain MRI, a mammogram and a CT chest scan. 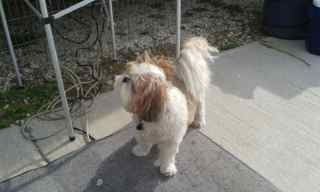 We have a follow up visit with Dr. Aponte, the oncologist, on Monday (the 25th). The whole process was supposed to take about an hour and a half. Nothing I could do, so I started driving around Corpus Christi playing Munzee, which is basically a 21st century scavenger hunt with a smart phone. I thought it beat sitting in a waiting area for a couple of hours. Connie had forwarded her cell phone to me, so all the business calls would come my way while she was being tested. At about 9:45a, I got a call from Dr. Aponte wanting to tell me to take Connie to the Emergency Room at Christus Spohn Shoreline. I was pretty confused. I was only about 10 minutes away from the imaging place. Connie was inside waiting on them to make disks up to give to her and bring with her to the ER. She said something on the brain MRI was troubling to the technician. We went to the ER. (Funny story, while we're waiting they called for "Guadalupe Something" four different times for four different Guadalupe's.) Connie finally gets taken back, and we agreed that it was time to get the dogs taken care of since the admitting process would take a while. 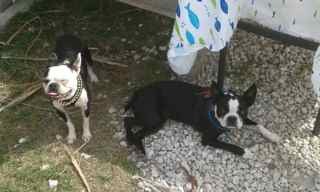 I came back to Rockport and made arrangements for Carmen and Sloopy to be boarded at the Salty Dog here in Rockport. They weren't quite used to having loose ends, but we got it worked out. Whole process took about 2 hours. By the time I got back, Connie was in a hallway and about to be transferred to a transitional area. She had met with Dr. Aponte who said there was a mass on her brain that needed immediate treatment. Connie was put on steroids (to shrink the swelling of the brain) and anti seizure meds right away. We met that night with Dr. Gleason, who was a neurologist. He showed us the pictures that had caused alarm and was going to recommend that Connie undergo Cyber Knife treatment for the large mass, and whole brain radiation for the additional small spots that were apparent. I went home, and Connie was moved to a permanent room. 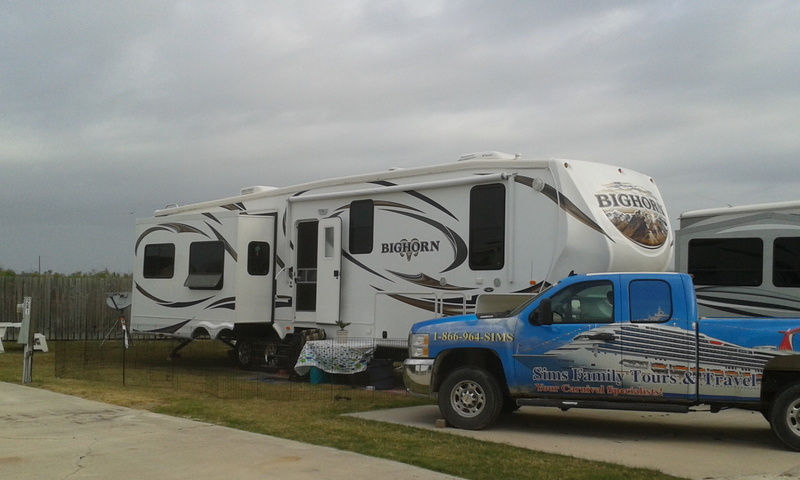 This blog has always been about Connie and I RV'ing and our travel experiences. It's now about to take a turn. To those of you who have followed our travels, our thanks. To those friends and family just finding us, welcome. I'm going to try and recreate the posts (I should have been writing) from the time our lives got turned upside down on February 22nd to the present, then keep up from here on out on Connie's progress and our "doings". I've been doing most writing in third person, but Connie would like to add her thoughts as time goes on, so you'll have to watch for who is entering the posts. Background info: Connie was diagnosed with breast cancer in 2003 and treated throughout 2004 by the Cleveland Clinic and Dr. Andresen. This past Monday, Connie finally got into a local oncologist (Dr. Emmalind Aponte) who recommended she get some imaging done to explain the pain she was having in her shoulder and the headaches she was experiencing. Because of her past history, she had had some X-rays taken of her chest earlier and some spots looked suspicious, hence going to see the oncologist. We were approaching the "magic" 10 year mark of being cancer free this year, as well as her 50th birthday on March 1st, our 10th year in business and our 30th wedding anniversary on April 30th. 2013 should have been a wonderful year. We've really got to applaud those that can keep a regular blog going. Putting it off a day, then another day turns into a week, etc. The second thought is that we've been so busy, we just don't take the time necessary to sit and record what's gone on. 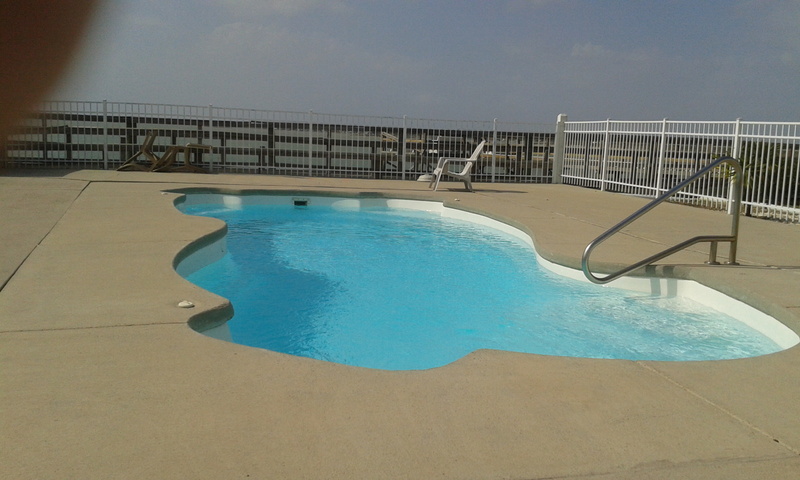 We said our goodbye's to Sea Breeze RV Resort. There are some great people there. 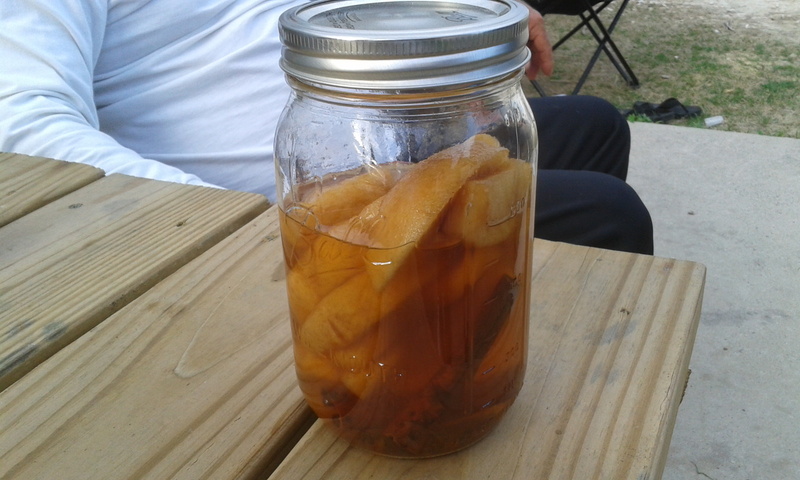 Capped the festivities off Tuesday night with some "Apple Pie" moonshine. Hooch with apples and cinnamon sticks. Really good. Really powerful. Didn't leave without Sloopy leaving her mark.....literally. She took a snip at Daisy, a beautiful bloodhound, that required a run to the vet to close up the gash at her nose. Instant reputation, word got around instantly. Felt horrible. 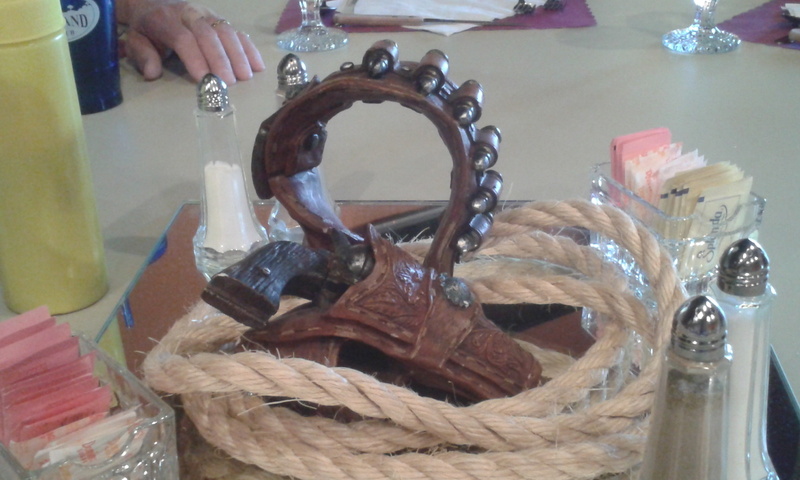 We finally got to Fajitaville with the Heartland Owners Group of the Coastal Bend on Friday the 8th. Food is still terrific, view is still spectacular. 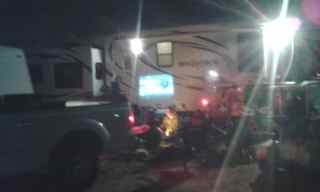 The 13th was a travel day to the Sweetheart Rally put on by RV.net in Kerrville, TX. Buckhorn Lake Resort is wonderful, a hidden jewel. Finally got to put faces to names from the Heartland Owners Group forum, learned how to play Mexican Train, and ate. Very. Well. 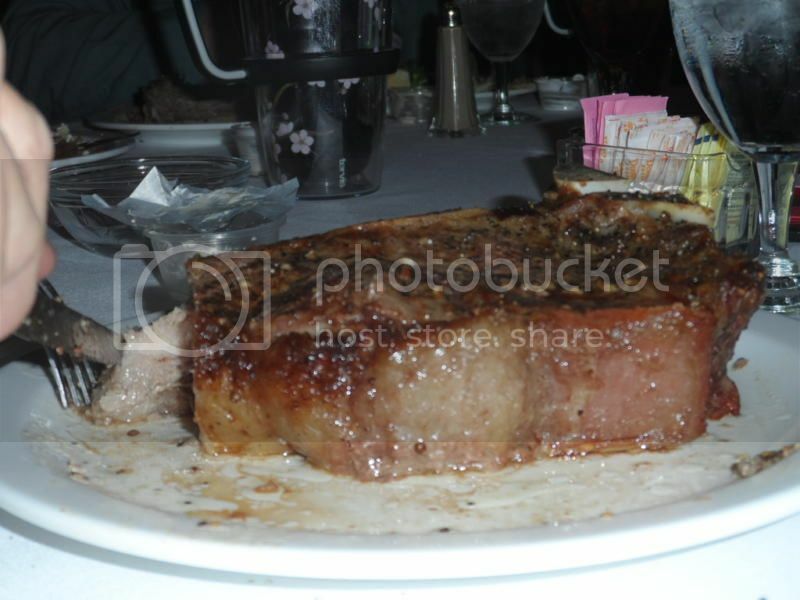 The king was a 32 oz Porthouse for two dinner. Terrific. It was cold, though. A real downer. Like lows in the 20's cold. Our friends Fred and Vickie made the trip down from Dallas, but, unfortunately, had a friend pass away that they had to turn around and roll right back to Fort Worth. It was good seeing them, if only for a night. Had to cut things back a day because Connie had a doctor's appointment on Monday. Both of us are worried about Uncle Charlie returning. She'll have tests Friday and another appointment on Monday. 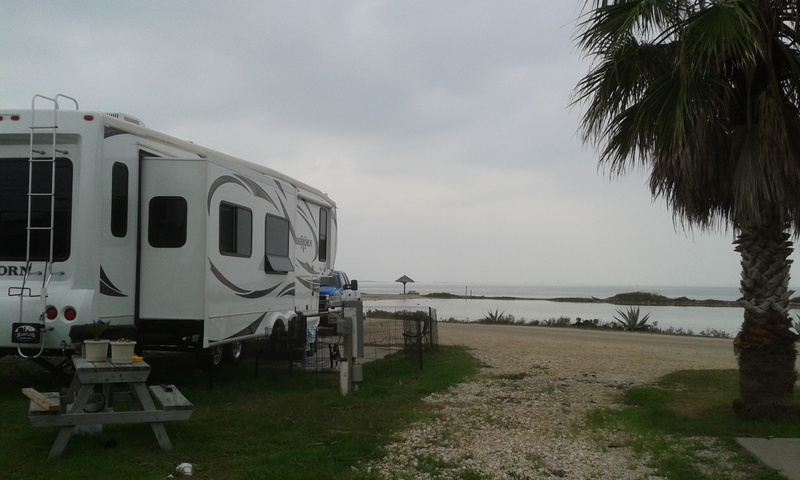 We settled at Copano Bay RV Resort on Sunday. Love it. Tremendously friendly Winter Texans abound. Concrete everywhere. Some would whine that there are no trees, not us. More sunshine the better. We actually at Kerrville decided to flip sides as the girls were freezing with the sun on the driver's side in the evening. Great choice. 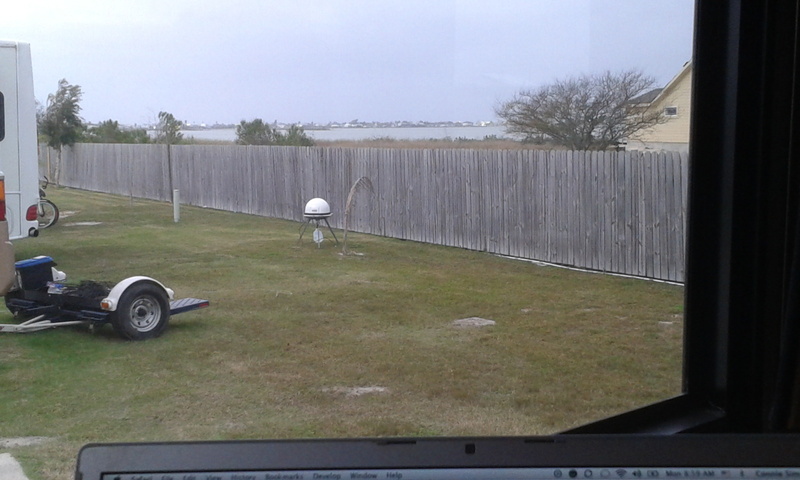 We've got an "obstructed bay view" out the back and the passenger's side windows. 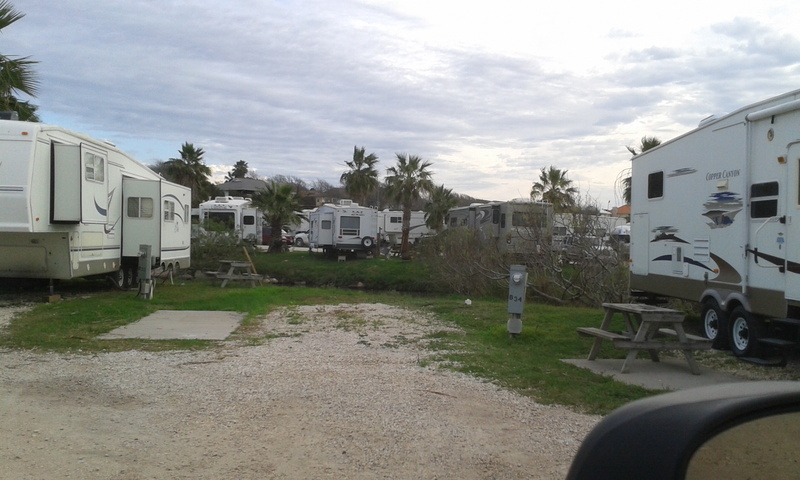 Getting to know the shortcuts into Rockport and Fulton, activities are abundant. The last two nights we've huddled with different neighbors for Happy Hour. Very happy. 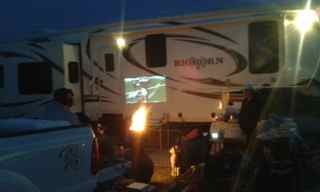 We've always said watching sports outside is better than anywhere else. Yesterday, we took it to another level with our first Super Bowl party in probably 10 years. It was in New Orleans, so beads and Dixieland were the order of the day. Even the girls were in the swing of things. We had plenty of help with our friends Mike, Kris and Justin from "across the pond" bringing their food and their chiminea for heat. Along with Ed and Loretta back from their cruise, the neighbors and their friends from next door it was a great night. Baxter was our first guest of the day. Took most of the afternoon to bring things out and back and forth from across the pond. 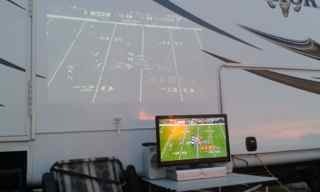 Because of the angle of our rig, the sunlight was an issue early and we had to go with the 24" Vizio until sunset when the projection unit took over. 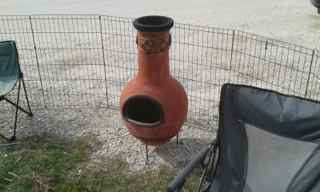 Once the chiminea got really cooking, the sun was down, we had pretty good heat along with the winds being manageable. Mike's ribs were wonderful, the guacamole was sensational, the beers were cold and flowing. To make things even better, we won the park's squares for the 3rd quarter!